Their pattern of illegal behavior continues. The Domain Registry of America (aka DRoA, namejuice.com, Brandon Gray Internet Services, Domain Renewal Group, et. al.) 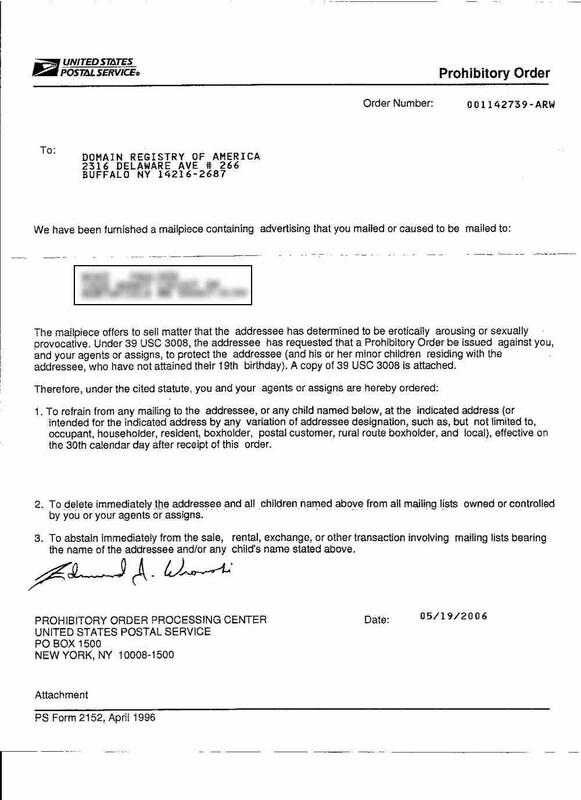 is violating a United States Postal Service Prohibitory Order.